R = rotz(ang) creates a 3-by-3 matrix used to rotated a 3-by-1 vector or 3-by-N matrix of vectors around the z-axis by ang degrees. When acting on a matrix, each column of the matrix represents a different vector. 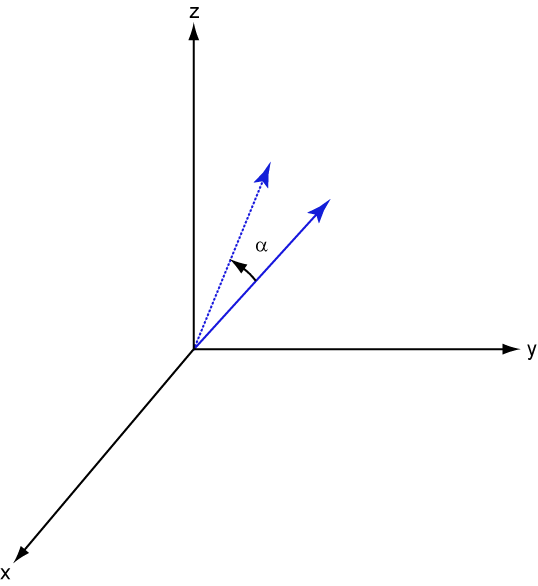 For the rotation matrix R and vector v, the rotated vector is given by R*v.
Construct the matrix for the rotation of a vector around the z-axis by 45°. Then let the matrix operate on a vector. 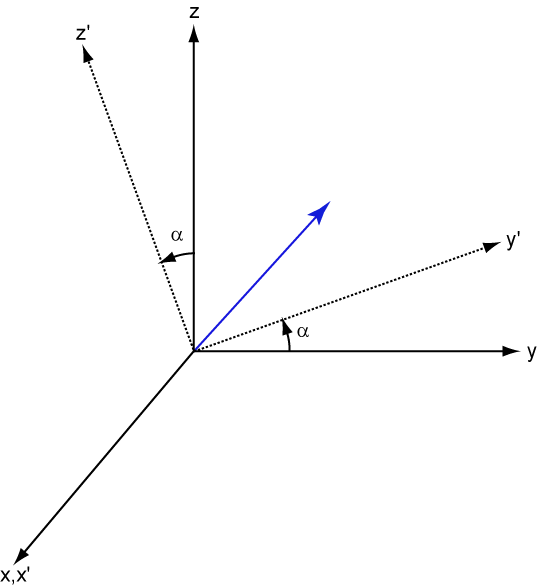 Under a rotation around the z-axis, the z-component of a vector is invariant. 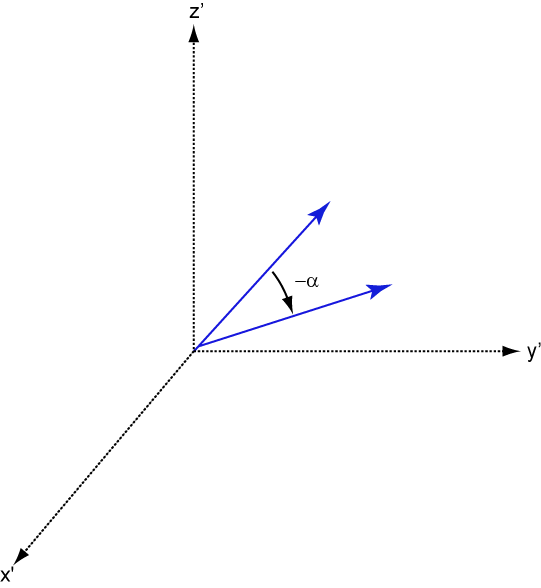 Rotation angle specified as a real-valued scalar. The rotation angle is positive if the rotation is in the counter-clockwise direction when viewed by an observer looking along the z-axis towards the origin. Angle units are in degrees. for a rotation angle γ.